Halloween is horribly happy time of year, especially if you like to get dressed up and frighten the neighbours. An entire holiday dedicated to dressing up? What’s not to like? We’ve a passion for hideous Halloween costumes, whether they be hideously funny or hideously scary. And we LOVE a scary movie too! We thought we would bring some of our favourite things about Halloween – if we wrote about all of them, you’d wither away to nothing before we were finished! Jeff the Killer Morphsuit: Possibly the scariest story to feature on the CreepyPastas forum so obviously we made a costume. Arachnomania Morphsuit: We shiver just looking at this costume and we certainly don’t wish to see this down a dark alley. Boil Face Digital Dudz Mask: Okay, now this one is really cool and pretty original plus it’s the most classically hideous on this list. Piggyback Stripper: Now isn’t this one provocative costume! For the people who want to push the boundaries and dance a little! Inflatable Dinosaur: This is undoubtedly one of our funniest costumes! Image someone in this costume on a skateboard or even ice-skating? Toy Soldier: The best idea for a group costume – everyone knows what these little green soldiers are and reminds us all of simpler times. Banana: The classic! It isn’t truly Halloween until you see someone wearing this costume! Ideal to pair up in a couples costume too. 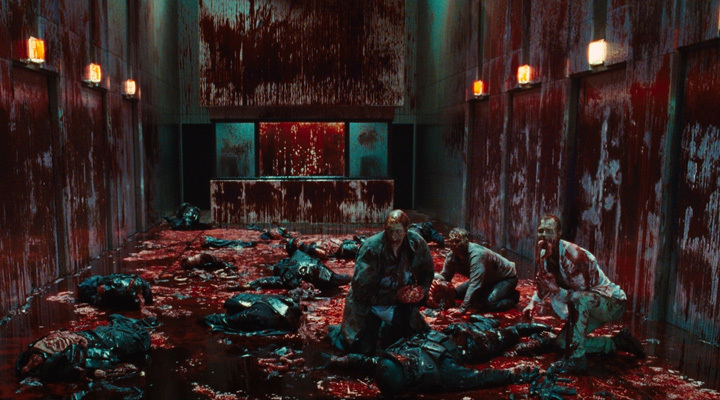 It can be argued that the market is saturated with horror movies, and we can’t help but lap it up! 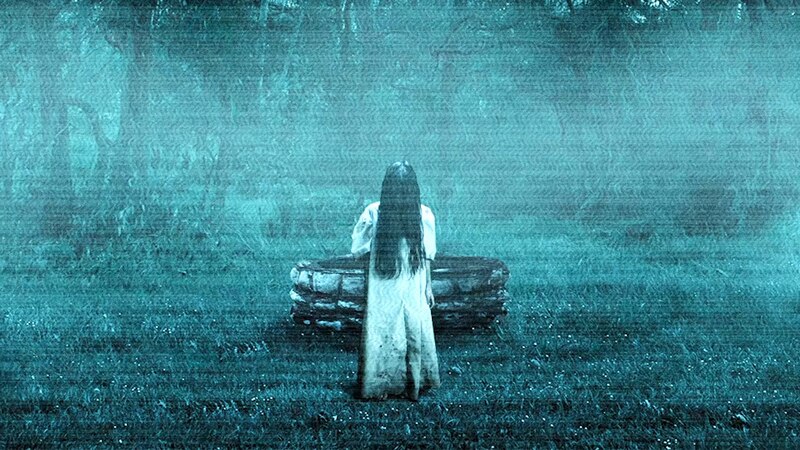 There are so many horror movies out there so we’re just going to choose five of our favourites! 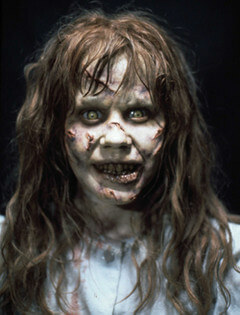 The Exorcist: Watch this one during the day. Just do it. Regan is terrifying and still is to this day, despite the film being made in 1973. There are so many reasons why it’s terrifying but it just is. No music, demonic possession, mothers doing such things in hell… Horrifying. 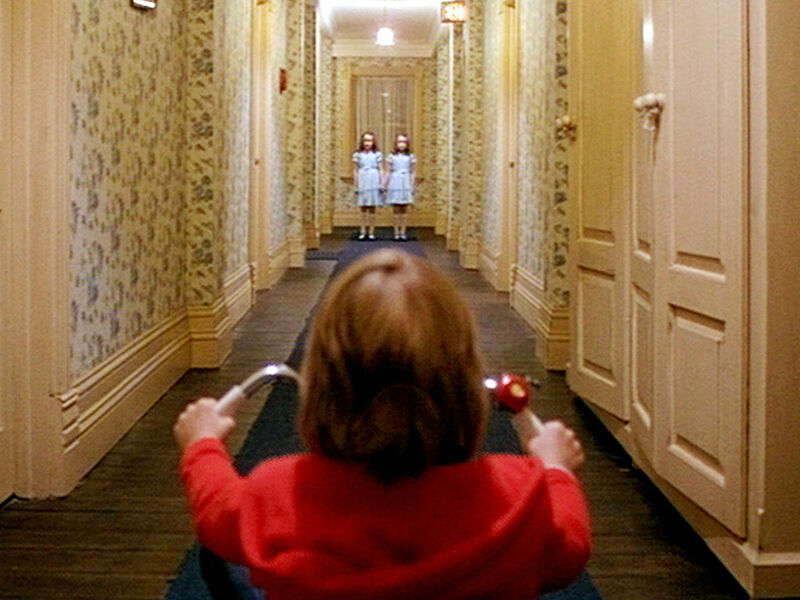 The Shining: While this film is a horrible book adaptation, it’s an amazing film. The elevator scene, the twins, the carpet… It was all perfectly chilling, and never has a descent into madness ever been so pretty! Silence of the Lambs: Another tame horror film – many don’t even think it’s scary – but it’s just so creepy. 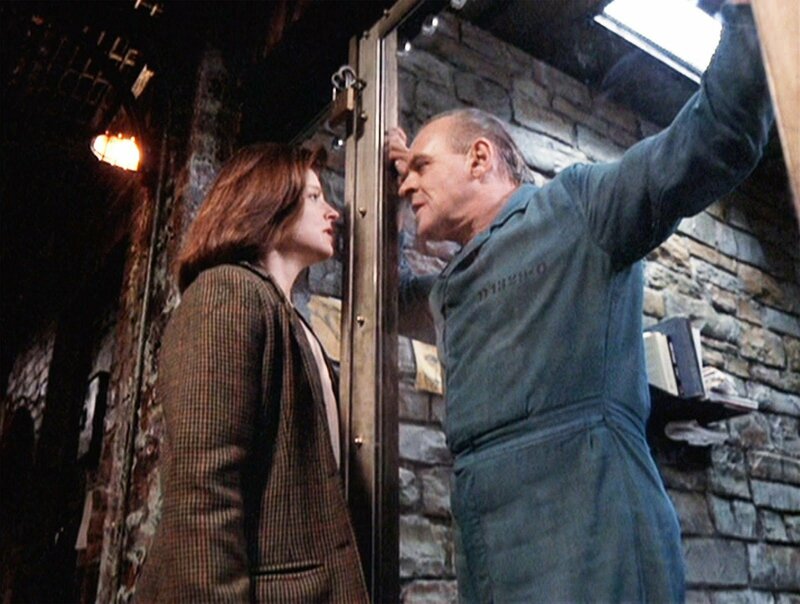 Anthony Hopkins as Hannibal Lecter is such genius acting that a simple touch of Jodie Foster’s finger is enough to run shivers up your spine. If you’re a fan of American Horror Story, you’ll have heard of Mr James Patrick March – the character that Evan Peters played in season 5 of the creepy anthology series and owner of the Cortez. That character was based on a real person, who built a real hotel in Chicago strictly so that he could murder people in secret. 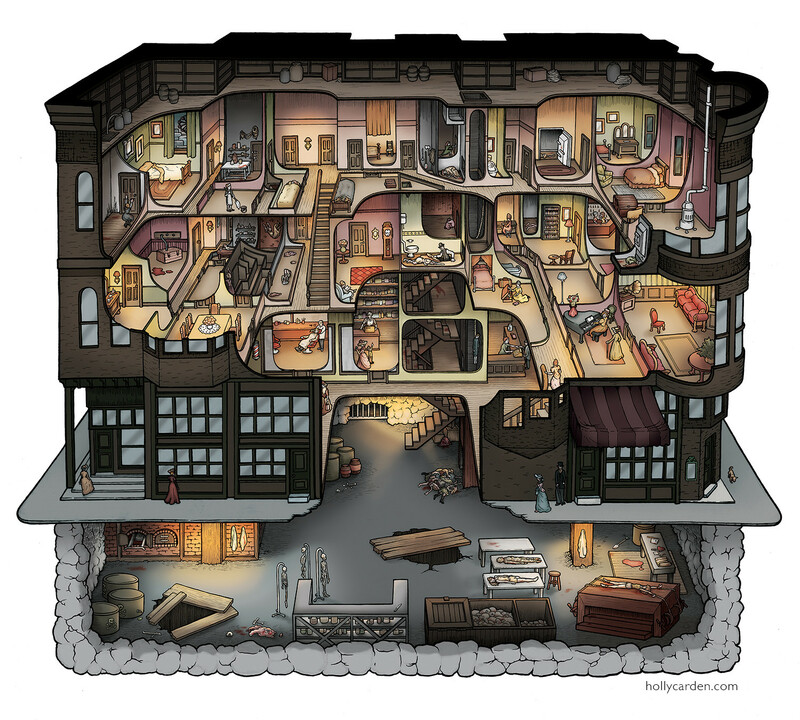 Dr H. H. Holmes is America’s first serial killer and he was arguably the most prolific at it. He commissioned the hotel in the late 1800s and only he knew it’s true purpose – it was fitted with gas chambers, 51 doorways and flights of stairs that led to brick walls, pits of corrosive acid, and two furnaces among many other strange tools that made builders suspicious. It’s suspected that he killed up to 200 people but he only confessed to 27 in his affectionately named “Murder Castle”. Totally check out the rest of this story (and zoom into the image below), it’s all really interesting! 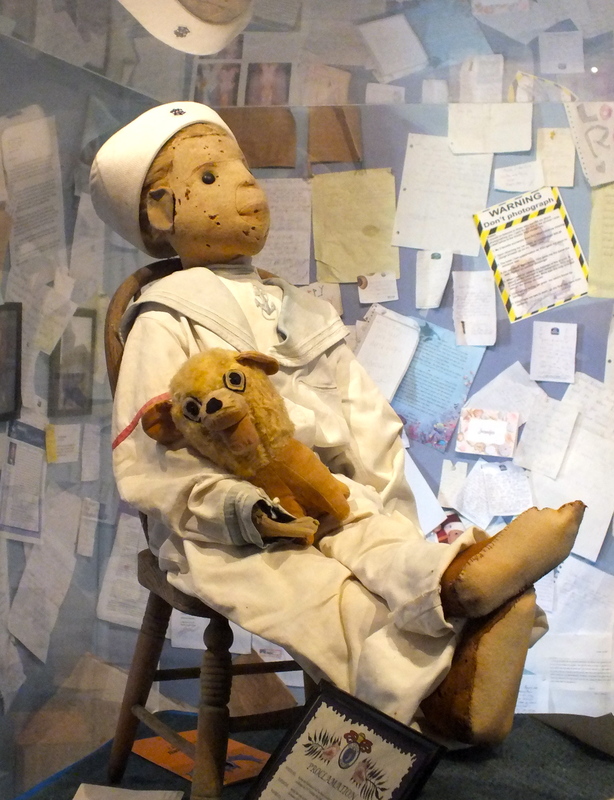 Haunted dolls have been the base of many horror movies and stories such as Chucky and Annabelle, but nothing is creepier than the true story of Robert. A young boy was given a doll over 111 years ago that was made in his likeness and so named the doll after himself. Soon after this, you would rarely see Robert Eugene Otto without his doll companion – Robert would even sneak the doll food at the dinner table. However, after a few months of having the doll, things went sour. Robert’s parents would hear two voices when he was alone – a quiet, gentle voice followed by a raspy and insistent one; the boy chose to go by his middle name as Robert was the doll’s name; and things only got darker as time went on.